A bit of a mouthful, but hopefully the best thing to make for the birthday of someone who loves lemon and white chocolate. 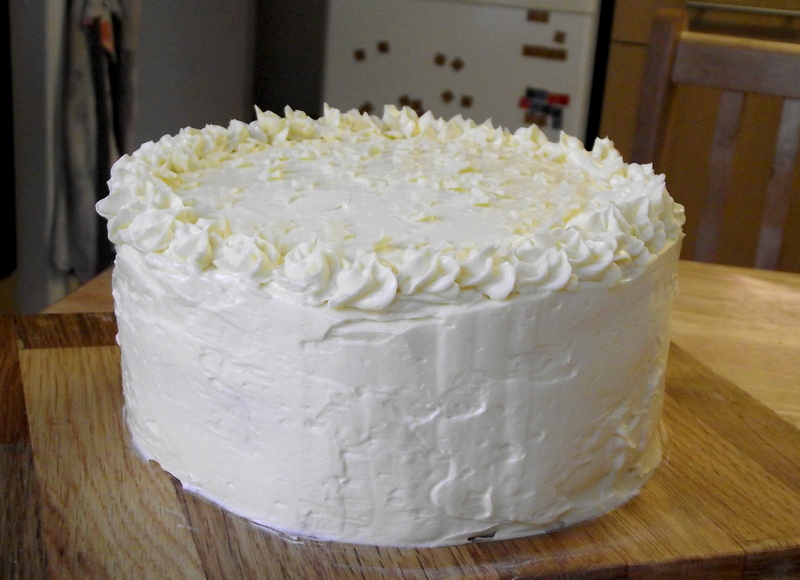 Also slightly self indulgent, because I wanted to try making Swiss Buttercream. Americans seem to get in a terrible tizz about it being the best thing in the world but also at risk of curdling – if I managed to make it with £7 beaters from Asda, so can you! Because it’s meringue based it’s less sweet than normal buttercream, and is much more stable so won’t melt into a sloppy mess. 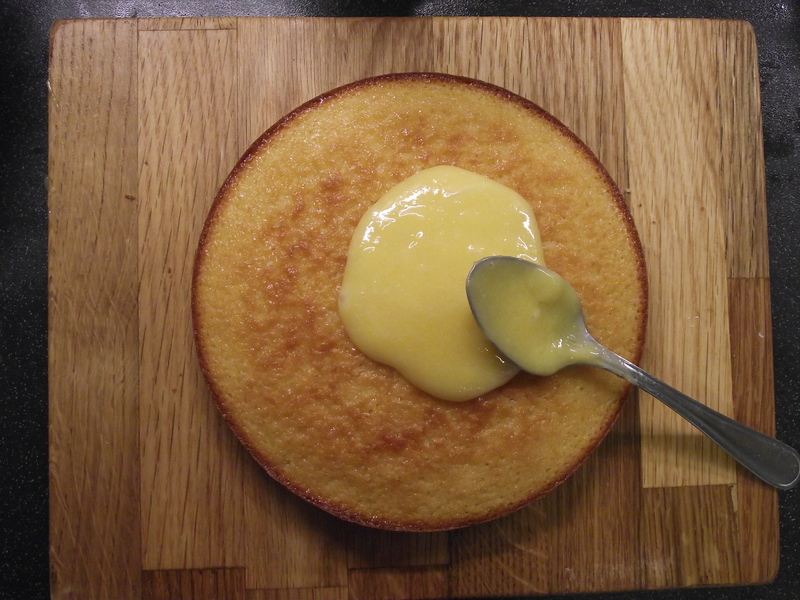 I failed to take a photo of the inside (party, too busy stuffing my face etc etc same old story) but there are 3 layers, with lemon curd in there to lift the sweetness and use up leftover egg yolks from the icing. This is a bit of a mash up of recipes, including one from The Food Dash and Martha Stewart‘s Swiss Buttercream. 1. 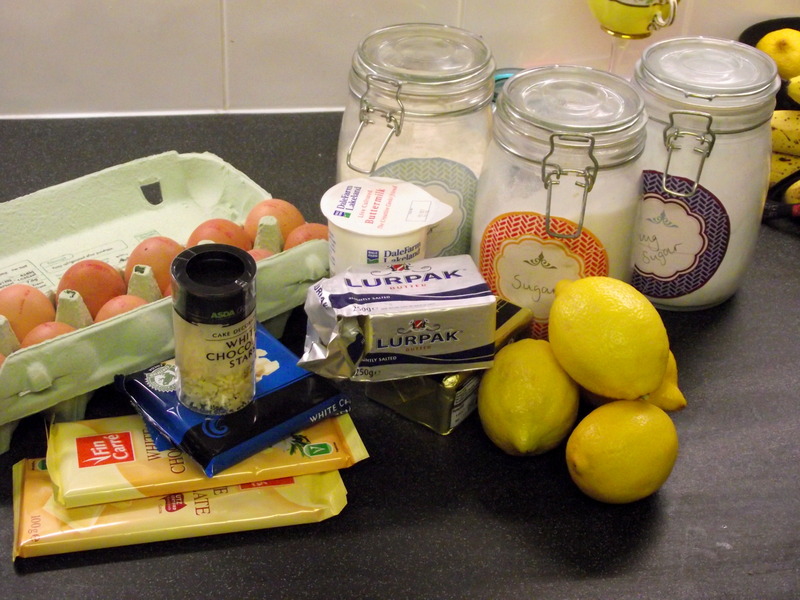 Start by making the lemon curd. Chill until cold and thick, preferably overnight. 2. To make the cake, sift together the flour, baking powder and salt and set aside. 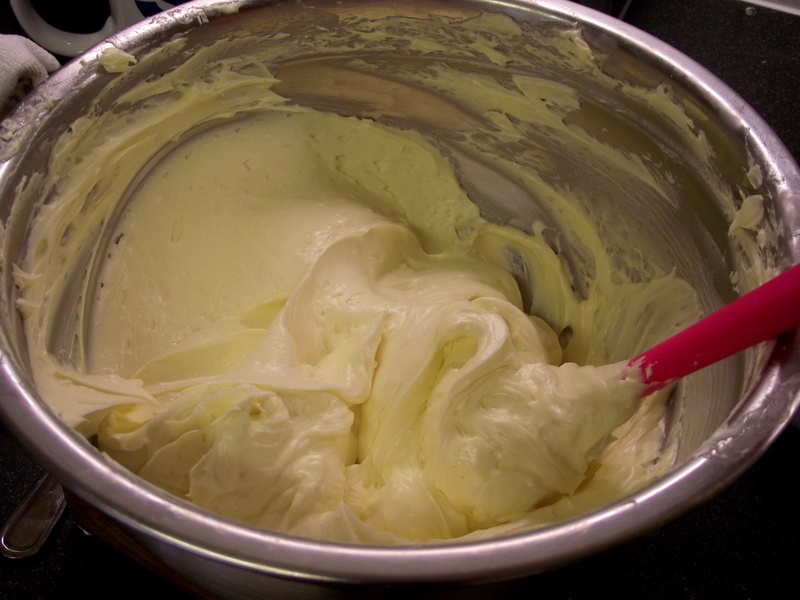 In a large bowl, cream the butter, sugar and lemon zest until light and fluffy. Add the eggs one at a time, followed by the vanilla essence. 3. Fold in 1/3 of the flour mixture, then half the buttermilk. Repeat until well combined. Divide between three 9 inch pans, and bake at 180C for 20-30 minutes, or until a skewer comes out clean. Turn out onto racks and leave to cool completely. 3. 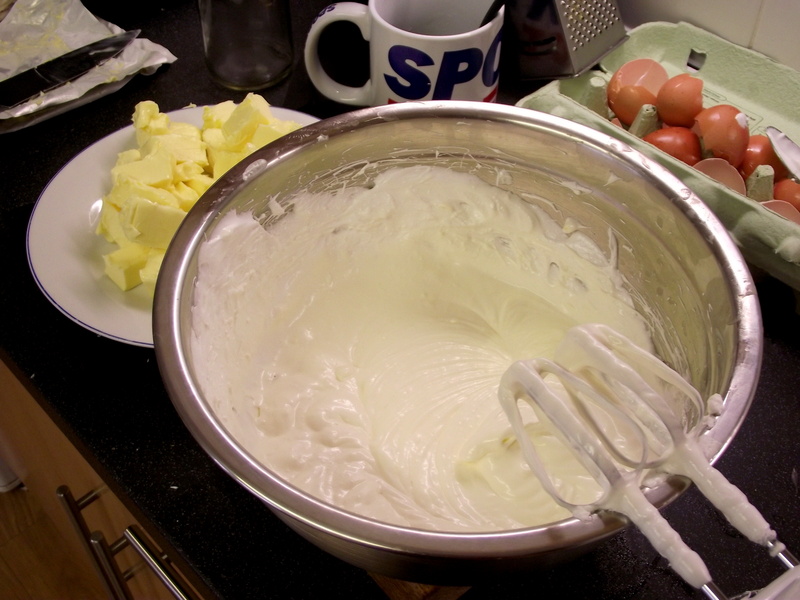 To make the buttercream, place the egg whites, sugar and salt in a heatproof bowl set over a pan of simmering water. 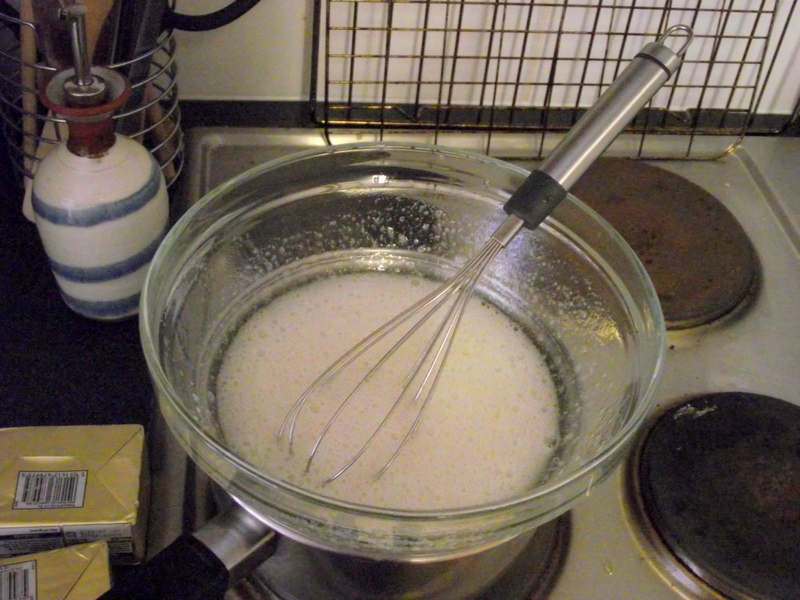 Whisk constantly with a balloon whisk until the sugar is completely dissolved and the mixture is warm to the touch. 4. 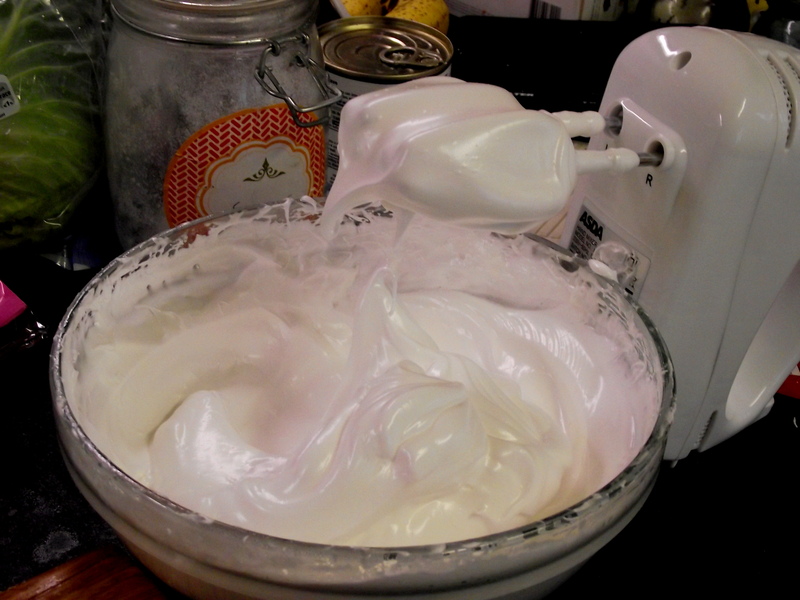 Remove the bowl from the pan and, using an electric whisk on medium high speed, whisk to stiff peaks. Continue whisking for around 10 minutes until the bottom of the bowl is cool to the touch – by this point the mixture will be incredibly thick and glossy, and you might need to transfer it to a much larger bowl before adding the butter. 5. Cut the butter into 1 inch chunks. With the beaters on a low speed, add the butter one chunk at a time, making sure each piece is incorporated before adding the next. 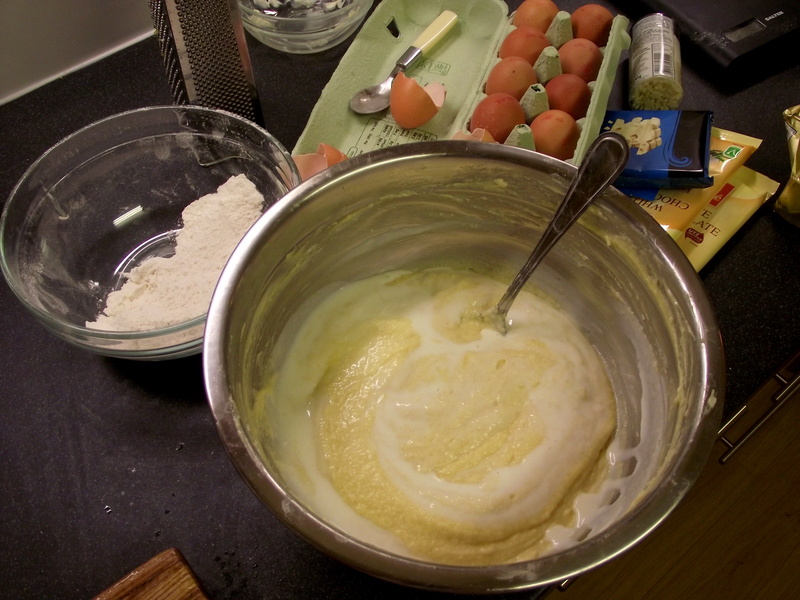 If the mixture starts to look curdled, continue whisking and it should come together once all the butter is added. 6. Add the melted chocolate, and beat the icing with a spatula until smooth to remove any air bubbles. 7. 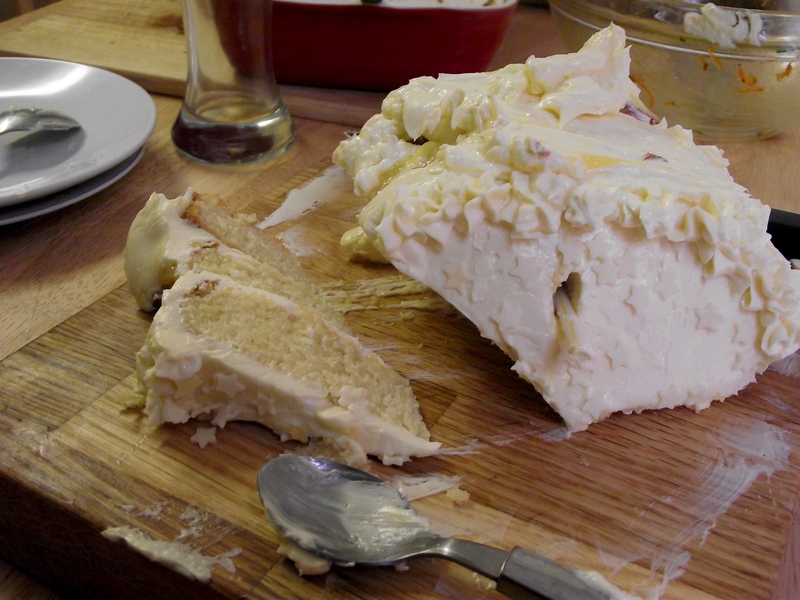 To assemble, pipe a thick line of buttercream around the outside edge of the bottom cake layer, and fill with lemon curd. Frost the underside of the next layer, place on top and repeat. Apply a thin crumb coat to the outside to neaten things up a bit, and refrigerate for half an hour or so before adding the final layer of icing. Oo I tried SMB once unsuccessfully, maybe I should have a go at Martha’s. What an amazing looking cake!